CFI’s Investment Banking book is free and available for anyone to download as a pdf. Covering accounting fundamentals, valuation, financial modeling, & Excel skills, this 400+ page guide to investment banking is a must-have for new analysts & associates. 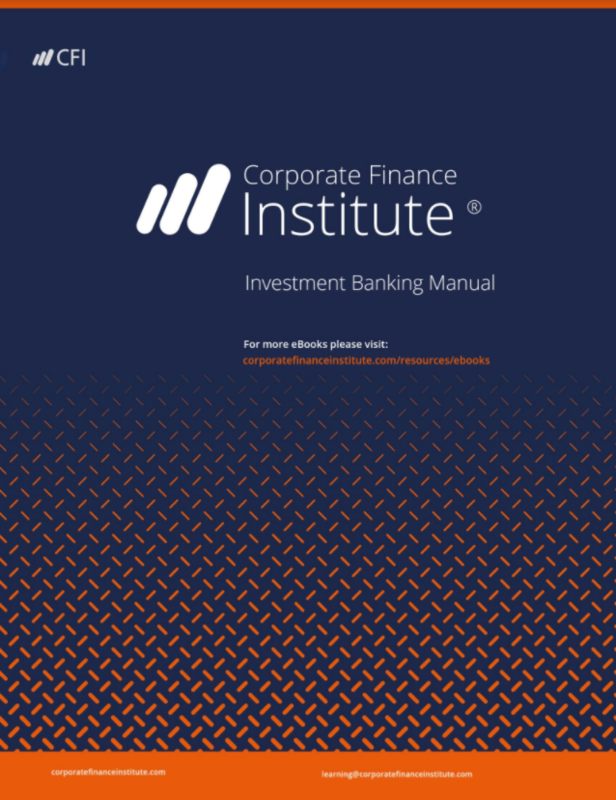 Welcome to the official investment banking eBook from the Corporate Finance Institute. In this 466-page analyst manual, we walk through all the important skills and body of knowledge required for a new hire at a bank. From accounting fundamentals to valuation, financial modeling, and Excel skills, this eBook cover all the major topics in investment banking for a new analyst or associate. We hope you find this book useful in reaching your future goals. CFI’s book on investment banking is divided into three chapters: accounting, valuation, and financial modeling. Below is a detailed breakdown of what’s included in each chapter. Why do we do comps? This Investment Banking Analyst book is a great way to jumpstart your banking knowledge. Whether you are a going for an interview, or just started on the job, this book is a great way to get a lot of information in one highly organized format. And the best part is…it’s 100% free!